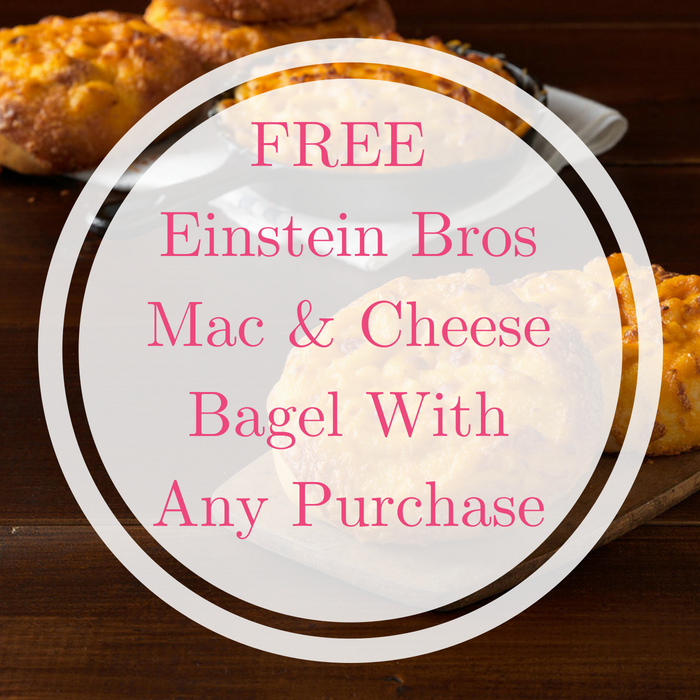 FREE Einstein Bros Mac & Cheese Bagel With Any Purchase! You are here: Home / FREEbies / FREE Einstein Bros Mac & Cheese Bagel With Any Purchase! On July 14 only! In honor of the National Mac & Cheese Day, all Shmear Society Members can score a FREE Mac & Cheese Bagel with any purchase at Einstein Bros! Sweet! If you’re not a member of the Shmear Society yet, make sure to sign up before July 13.